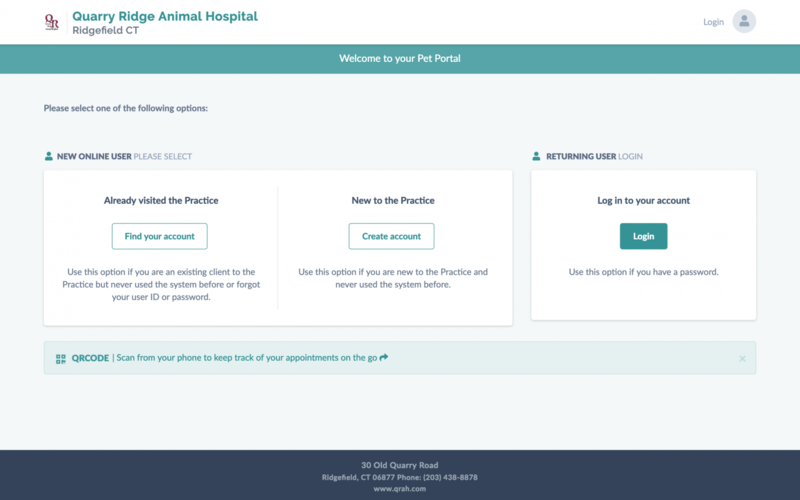 Now, you have immediate access to information about your pet's health and medical history, and more tools for managing their care and well-being. You can log in to your Pet Portal on your computer, mobile phone, or tablet whenever you need it. Open the Pet Portal website in any web browser or download the MyPetsWellness mobile app for quick access on your cell phone or tablet. In an emergency, if you have an urgent question, or if you simply prefer to schedule your visit with one of our receptionists, please don't hesitate to call 203-438-8878. —When you bring a new pet home, you can add your companion to your Pet Portal and schedule their first appointment right away! Whether it's playtime, naptime, snuggle time, or dinnertime, use Pet Portal to find what you need . . . and get right back to quality time with your pet! It's a new way to keep your companion healthy and happy.